Paul: Those details really look amazing. Great work! 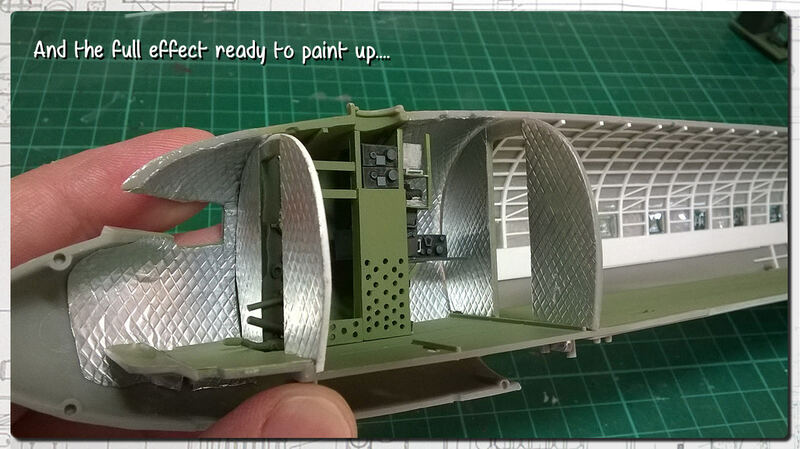 Managed to get the airbrush powered up and after a bit of a touch up with brushes this led to the centre crew section being finished enough to move on for the time being. 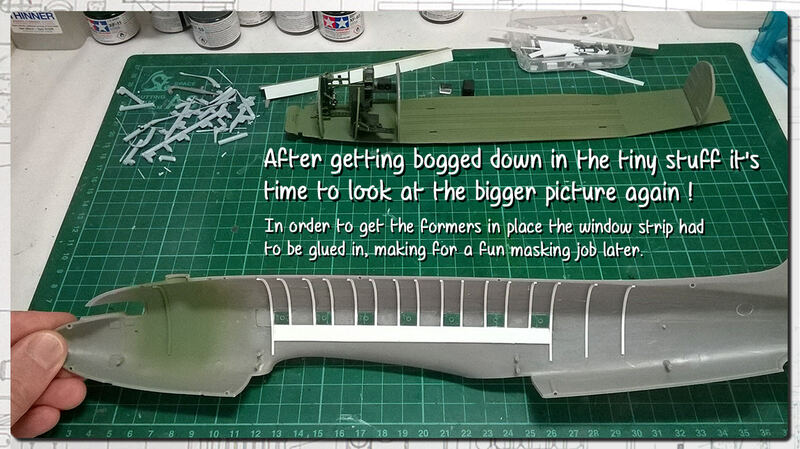 You can see my pile of used-up stretched sprue and the lid of a box I use to throw all my cut-offs in for future re-purposing. I'm glad to say that each of the the formers didn't need drilled out like the ones in the old Lancaster so this job was relatively pain free ! On a side note, I haven't decided whether to open up the section at the back of the aircraft which houses the toilet. I'm leaning towards a no on that one... ? I won't advice you on the subject of cutting open but your detailing work is first-class, love the radio operator/navigator's compartment! Thanks Magnus, some of the detail is lacking in a crisp finish but when it gets hard to hold and manipulate such small parts you have to say "good enough !" I missed this build when it started, but now found, I'm buckled up and enjoying the show. 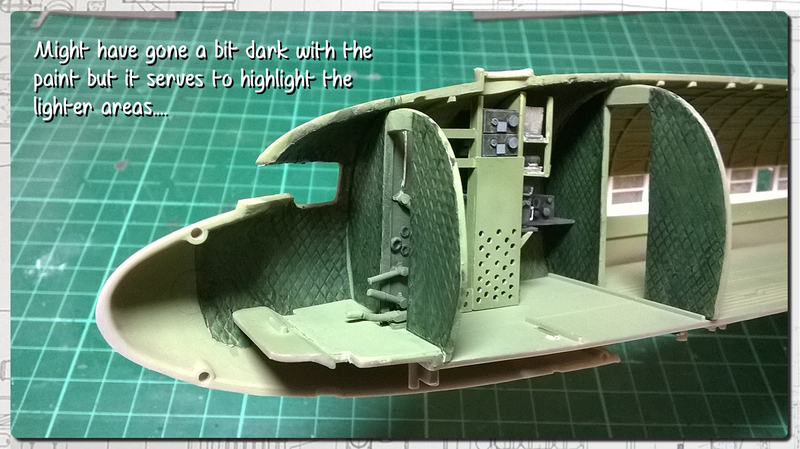 Great work on the radio compartment. The stringers & ribs really do look quite good. As much as I do like seeing extra detail, I vote "No" on the toilet compartment, as some aspects of the interior are better left to one's imagination. Thanks Spud, I'm advancing my skills all the time so it's a lot of fun to share the journey. Haha, thanks Joel. I'm a little tempted to open up the doorway and invite the viewer to peek inside but I won't extend the cutaway to that section. 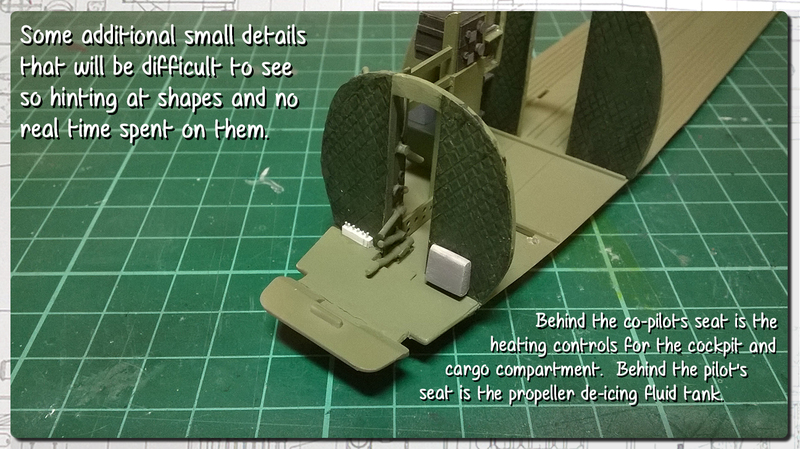 Speaking of which, I'm fairly certain of the area I will open up now - A small section from the middle of the cockpit windows back to behind the crew entry door, broadening into a long rectangular area all the way back to just in front of the cargo doors on the port side. This is very interesting work, I am following it very closely. I intend to use the eduard open landing flpas set, and am still contemplating whetehr I will upgrade the engines. Thanks Drabslab, I'm looking forward to seeing yours too. 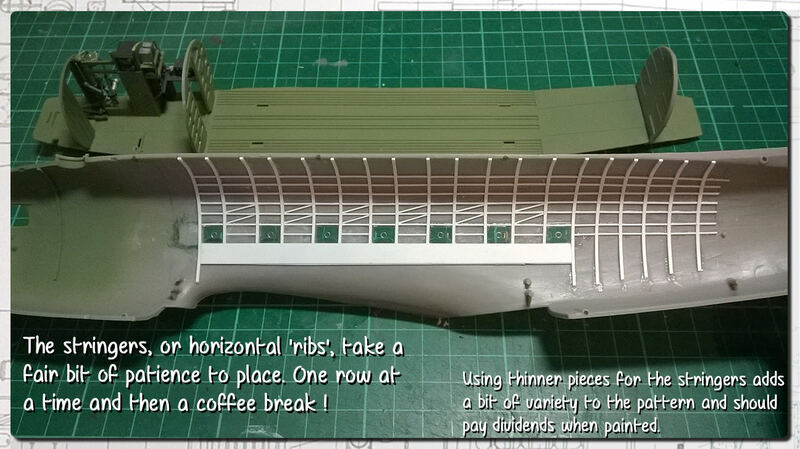 I've never detailed an engine yet but I may give it a try and add some wiring that would be visible from the front of the cowling. 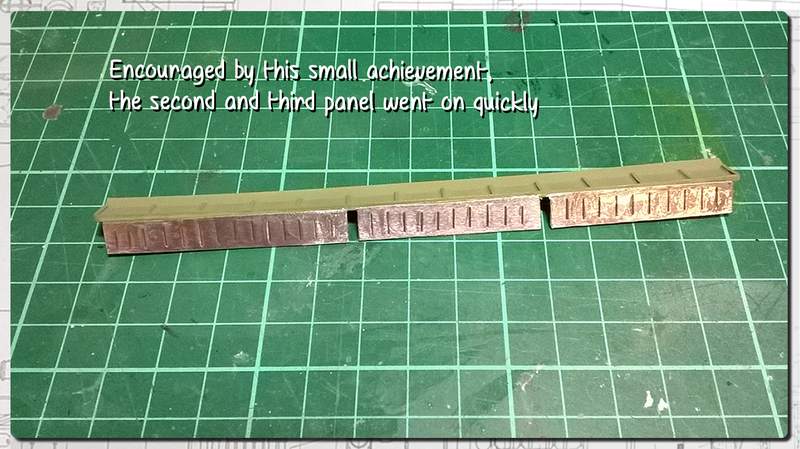 The flaps on the other hand are something I've considered scratchbuilding and will probably attempt if time allows. 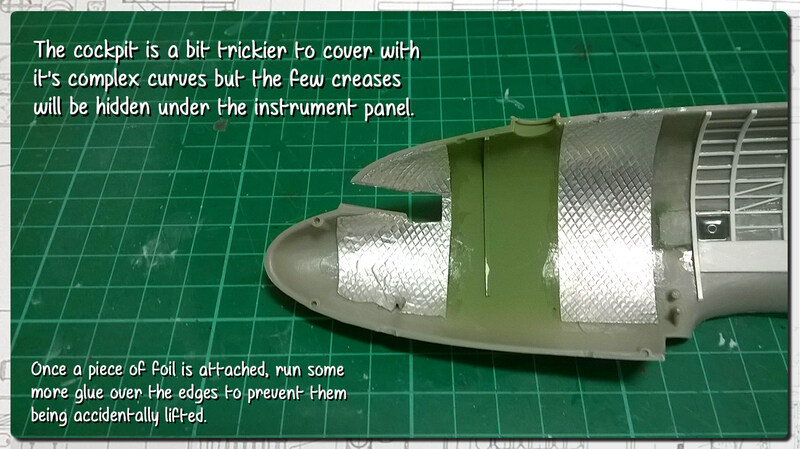 Moving on to another technique I've seen used to great effect - foil cockpit padding ! 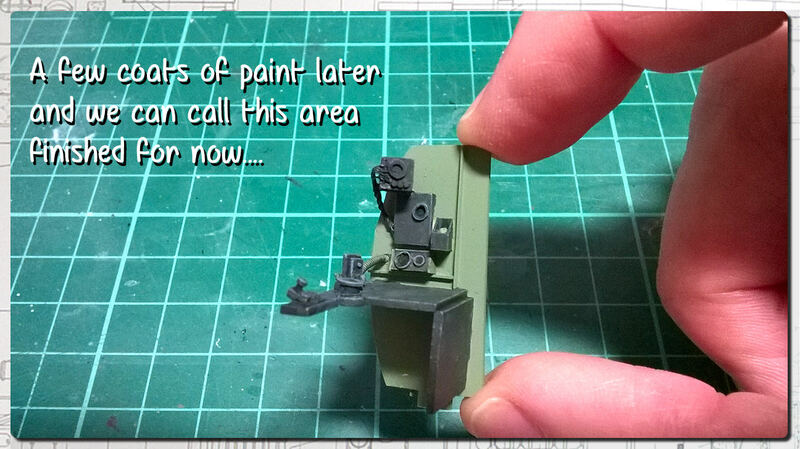 This is a deceptively easy method to achieve a detailed surface effect and I'll store this one away in my bank of tricks for future builds ! The foil padding looks fantastic. for some reason though I'm not getting notifications that you've posted an update. 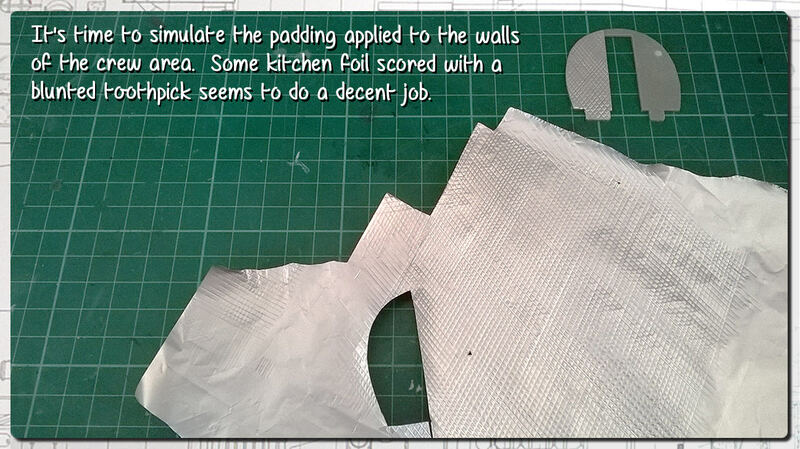 That padding made out of foil is indeed amazing. I like the detailing involved in this project! Thanks a lot guys, I’m pleased how the effect has turned out. It’s something that is quite simple and gives a lot of bang for your buck! Really nice work, yuo have an impressive creativity in using common things for achieving nice results. That kitchen foil looks like the real thing. 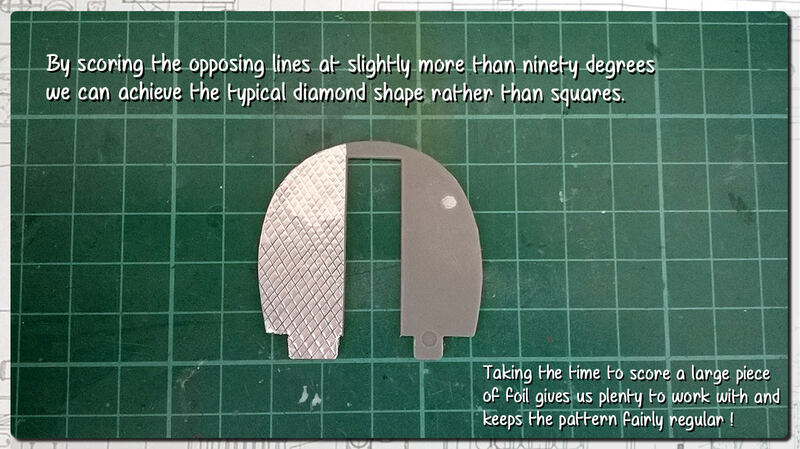 Thanks again, I'm already turning my brain towards other ways of using this technique for anything which requires repeated patterns. 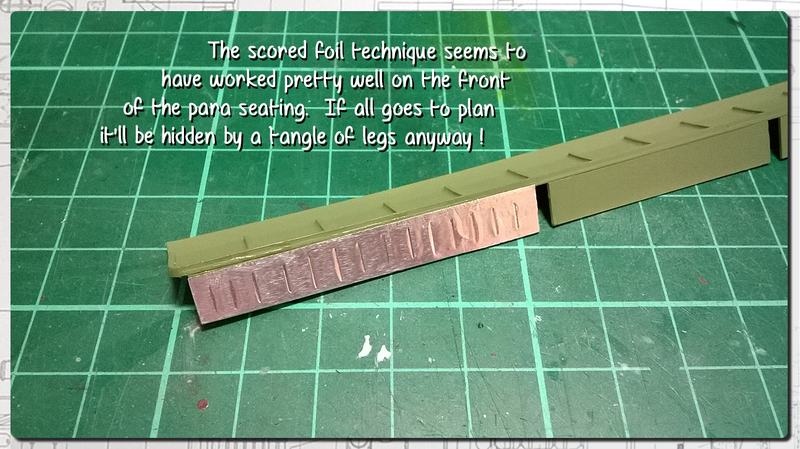 The 'front' of the folding paratroop seats has a regular slit pattern and I'd had trouble in trying to think of a way to replicate it. I'm beginning to think that this method could prove to be quite effective. It's certainly worth a try ! Indeed great work with your material-mix, Paul! Thanks Thomas, it's interesting to work with and incorporate new materials. People have been foiling bare metal aircraft for a while but this is something new to me. Here's another small update this weekend which keeps things moving in the right direction. You're really kicking this build up more then a few notches for sure. I've reposted that last photo as the exposure was terrible! And thanks Joel, I'm just aiming to add in as many interesting details as I can.